I promise i'll return with recent antics from The Party of Five soon to bore you to tears yet for now here's a post about make-up. I'll admit i'm hardly the most proficient in the art of makeup infact i'd probably say i'm a tad slap dash what with having zero patience. I wear makeup to express myself and not as a daily ritual. I do not belong to the 'spending over half an hour every day skillfully applying makeup so that it looks like i'm not wearing any' brigade. I know not a stippling brush from a bullet crease doo-dah and the word Kabuki sounds like a sultry cocktail yet leaves a rather pleasurable vibration in the mouth when spoken so much so that I'm sat here like a true berk repeating it in varying seductive tones. True story. The closest to Mac I've been is in the waterproof pac-a-mac kind from my childhood. See, that's the other thing, not only am I terribly skint i'm also an awful cheap skate and fiercely resent paying top end prices, more so when I am gifted with neither the knowledge nor the skill to actually make use of it so that I actually look like i'm wearing bloody expensive cosmetics. Then comes the question of style, or should that rather be questionable style seeing as I never did succeed in truly outgrowing that petulant panda eyed sulky grunge look and as one knows you're never cured from gothism, you're only ever in remission. In my youth I had a caboodle case, a terribly useful contraption in bright colours that stored cosmetics, back when I hardly had any besides the trusty black eyeliner, black nail polish and lots of glitter. Yet the years and several house moves took their toll on it's deceptive youthful looks and to be frank, it took a battering and lost. The thing with make-up is, you have to want to use it, and often once you have, be it the end result or merely the enforced concentrated 'me' time it's application involve, it does have an element of feel-good about it. Yet when faced with rummaging through the murky depths of an old washbag through makeup and brushes old and new in varying states of glory and decay the alternative of bare and not-so-freshed facedness seems a trifle enticing. 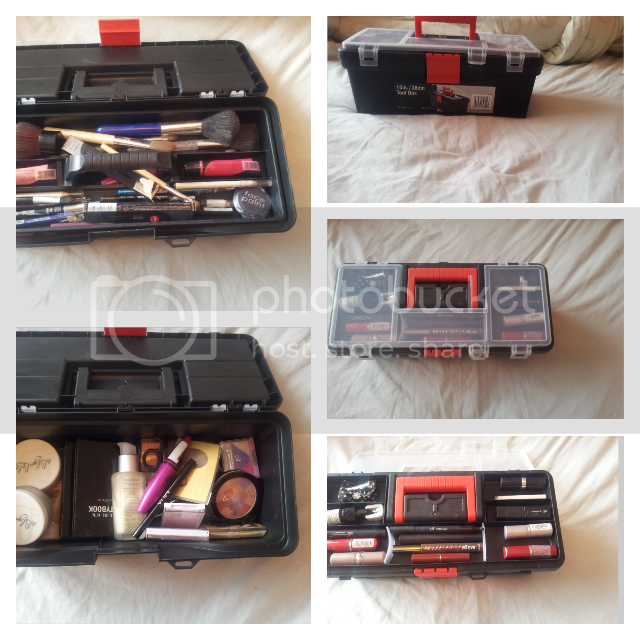 Have you ever looked at buying a makeup box? Gosh, how utterly alarming the prices are. All in the name of vanity. Think how much Gin you could buy with that or adversely how much Valium you'd need to recover from the hole in your purse. So, in a thrifty light bulb moment I sent The Long suffering Husband to B&Q on a mission to purchase a cheap plastic tool box. For the total cost of £5 I got something to store and organise my cosmetic wares in. Bargain. So whilst on the topic of make-up I thought i'd share with you my top three recent favourate buys, short honest opinions on current products from someone who is under no guise whatsoever of being adept or talented in the art, moreso just someone who quite likes having a dabble. 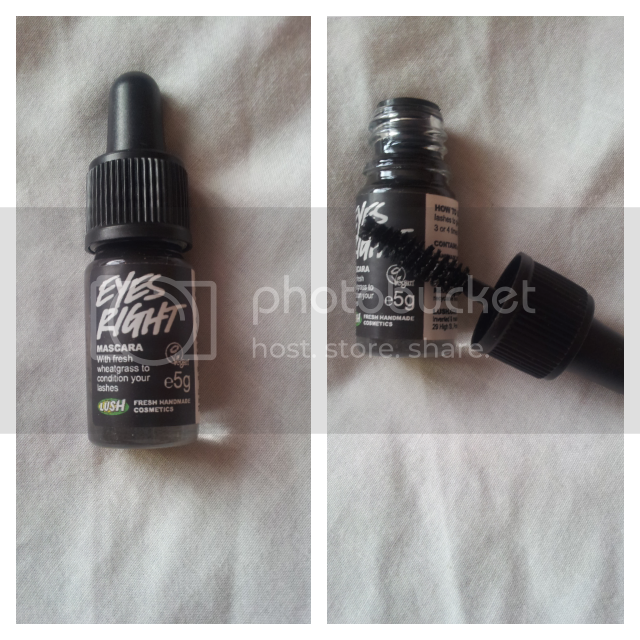 So the first product is a staple favourate, black eyeliner. I have liquid, creams, glide ons, pens, pencils, you name it. You can never own too much black eyeliner if you're still reliving your teenage years of grungetastic gothdom. We are what we are. I love the felt pens for precision and kohl for drama and smudgeability. 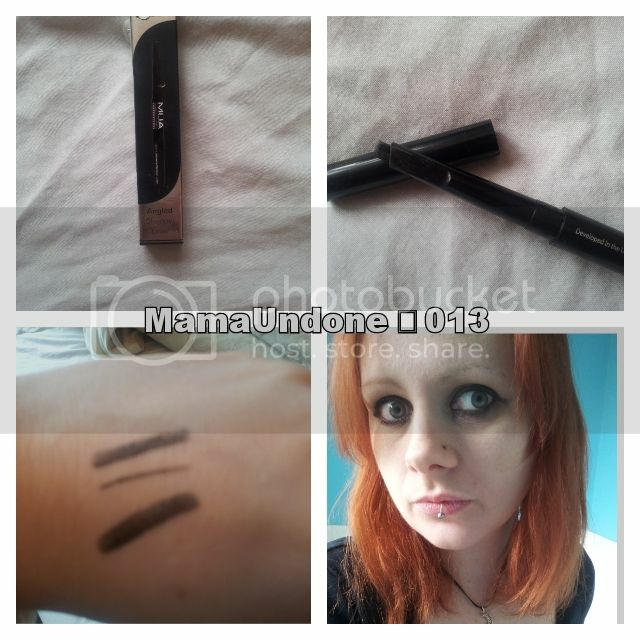 I was recently sent from the lovely people at MUA, amongst a small treasure trove of other goodies, a 3-in-1 contour pen (actually I received two but have only tried the black so far) Firstly, one can't possibly review anything by MUA without commenting on the price, because seriously, it's cheap as chips. With MUA you have no excuse whatsoever to not treat yourself to some new makeup. This eyeliner is a whopping £1.50. From the packaging to the product itself, aesthetically speaking it's comparable to the high end counterparts being neat, sleek and yes, i'd go so far as to say elegant. Not at all what you'd expect for the price tag. The nib is angled, which gives incredible contouring possibilities allowing you to achieve both thick, thin and tapered results with ease. The colour is a nice dense black, that glides evenly across your lid and waterline gently and easily, no more gouging through your eyelid with a broken scratchy pencil and it stays put. Sure, smudge and blend if that batters your fish or simply leave it be, either way it stays put exactly where you want it to regardless of whether you build up in layers or just glide and go. Another plus is the lack of need for sharpening, you twist and have a solid supply of perfectly contoured product to wind upwards. I'd love to experiment more yet The Toddler had a most enormous tantrum over me refusing to share it with him. He's such a glam rocker. In a nutshell you need on of these in your makeup bag. You'll probably need several seeing the rather impressive colour range on offer and quite frankly, at only £1.50 a pop, why the hell not? Someone recently recommended Eye's Right mascara from Lush's emotional brilliance range. Yes, Lush doing makeup, what an epiphany! The price is a competitive at £12, yet on my bufget it was a splurge as a treat. At first glance it's essentially a dinky bottle like something from an apothecary laboratory with a dinky brush inside. Stop right there, a dinky brush? Oh no. Oh dear oh dear, how quaint. You' be forgiven for seeming somewhat bemused at this having being woo'ed by the plethora of 'wands' from the highstreet, this although charming is a stubby relation. It's not rubber, long, curved, twisty, futuristic and nor does it vibrate (sorry ladies) However, what it does do is easily apply mascara to all your lashes, even the itty bitty scrappy ones. 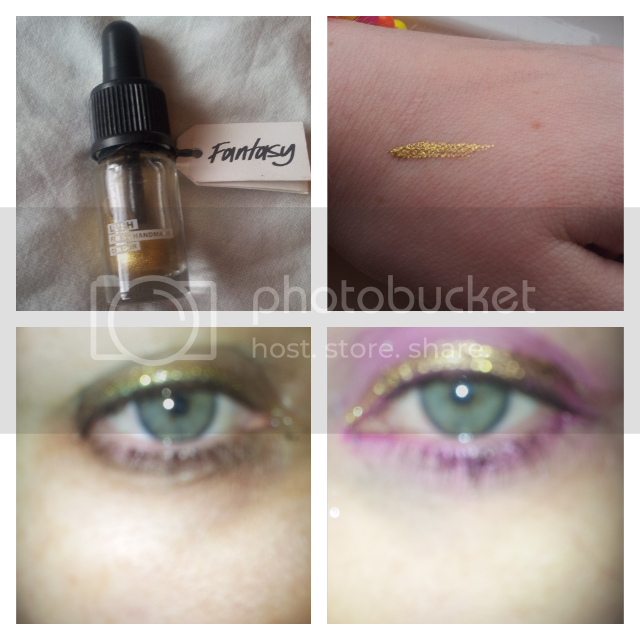 The Mascara though, what about the inky black elixir? The shiny wet black ambrosia? One sentence, It doesn't clump. Not even a little, not even at all. No nasty clay like nightmare, just shiny, wet perfect black mascara that layers up brilliantly creating a depth of colour that doesn't clog up your lashes or the bottle and easily glides through your lashes. Hallelujah. Someone must have blown Lucifer himself for such a dark triumph. Then you have the added bonus' of being made from natural ingredients and not tested on animals as expected from Lush. I don't wear eyeliner much anymore, weirdly as it used to be one of the only make up products that I used! But the mua contour liner really is rather spiffy. Did you like the other bits you tried too? 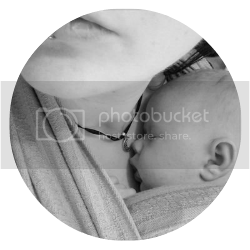 beautyqueenuk - it's fabulous isn't it? I actually find the little pot and brush quite endearing. Laura> will post a pic on fb of the stuff I have to try.